In his final year of theatre studies, exhibition curator Geoffrey Curley went on exchange in London and lived on Chiltern Street. 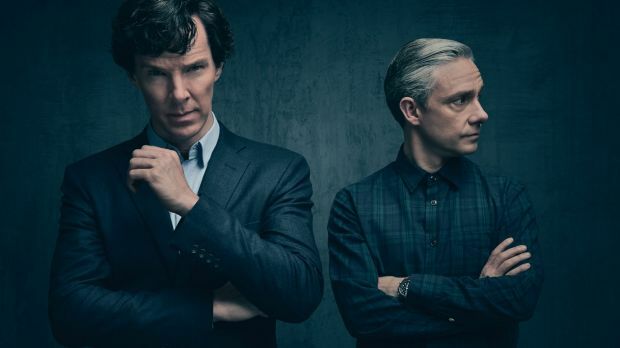 "It's literally the street right over from Baker Street," which is the famous home of Sherlock Holmes. Was this by design? "No, it was a complete coincidence," Mr Curley, a former theatre designer, said. But, of course, as Sherlock Holmes himself might have replied, there are no such things as coincidences. "Life is infinitely stranger than anything which the mind of man could invent ... If we could [see] the strange coincidences ... the wonderful chains of events leading to the most outre results, it would make all fiction [seem] most stale," said the great detective in A Case of Identity. 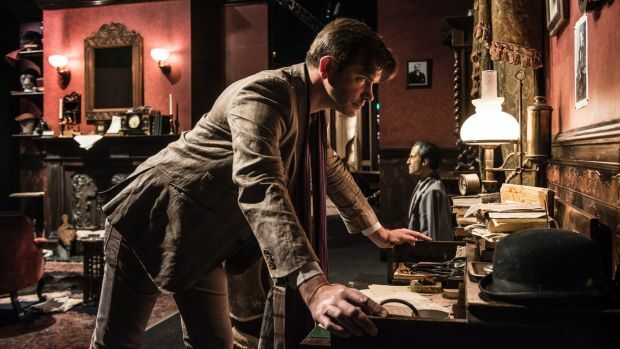 It is this world of fantastic reality that Sydneysiders can explore at the Powerhouse Museum's new offering, which opened on Saturday: The International Exhibition of Sherlock Holmes. "Usually the family doesn't participate," he said. But as you step into the world of Arthur Conan Doyle after passing through some London fog (dry ice), you are welcomed by the author's great nephew, Richard Conan Doyle. The exhibition is a triumph of Victorian rationalism, neogothic chic and steampunk attitude. Central to the exhibition is solving a crime, a murder no less. You must deduce from simple facts how the police got their theories so wrong using the latest techniques of 19th century science: optics, botany, cosmetics, photography, ballistics and telegraphy. Perhaps the only thing missing is an injecting room: Holmes' indulgences of heroin and cocaine are not obvious in this representation. Mr Curley used his contacts in the theatre world to involve Tony Award-winning Broadway designers to build Holmes' Baker Street study. Holmesian author Daniel Stashower developed the narrative of the murder which you must solve. And to solve this crime you must interact with the exhibits like a sleuth. Or, as Sherlock Holmes said in The Sign of Four: "Eliminate all other factors, and the one which remains must be the truth." The exhibition marries literature, culture, history and science. 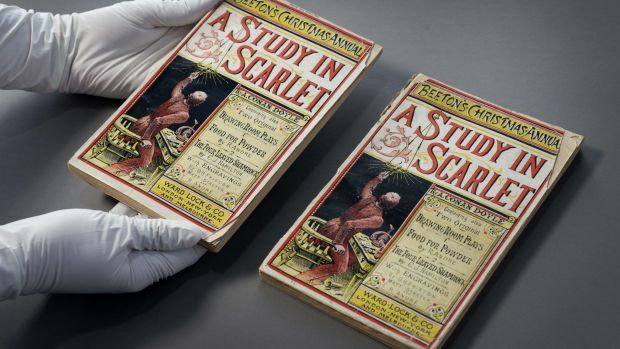 While a fictitious character, Sherlock Holmes inspired some of the early founders of modern forensic science. Professor Claude Roux is the director of the University of Technology Sydney centre for forensic science. "The pioneers in forensic science at the end of the 19th century included Austrian Hans Gross and Frenchman Edmond Locard," Professor Roux told Fairfax Media. 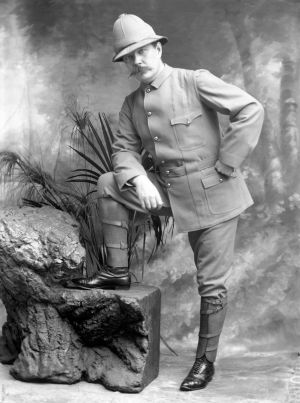 Locard was known as the "Sherlock Holmes of Lyon" and was reportedly an avid reader of Conan Doyle. "The Locard principle declares that 'every contact leaves a trace'," he said. Professor Roux said: "What forensic science does is look at the traces of crimes themselves - and this is exactly what Sherlock Holmes does." "Observation, reasoning and the ability to infer the right questions leading to hypothesis and tests - it's the ultimate scientific method." Credit to Marcus Strom. The Sydney Morning Herald Source.